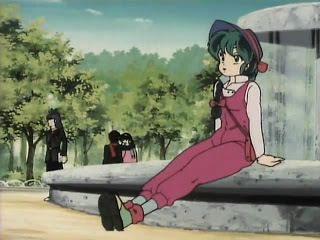 Lum is cutely dressed, waiting for Ataru to show up for their date. However, he’s out on a girl hunt and actually encounters a girl who says “yes” to his proposal. An hour later, a “jungle boy” dressed in a leopard skin loincloth rides in on an elephant. Seeing Lum, he’s smitten by her. She tries to fry him, but he’s unaffected by her electricity, though her own clothing is destroyed. 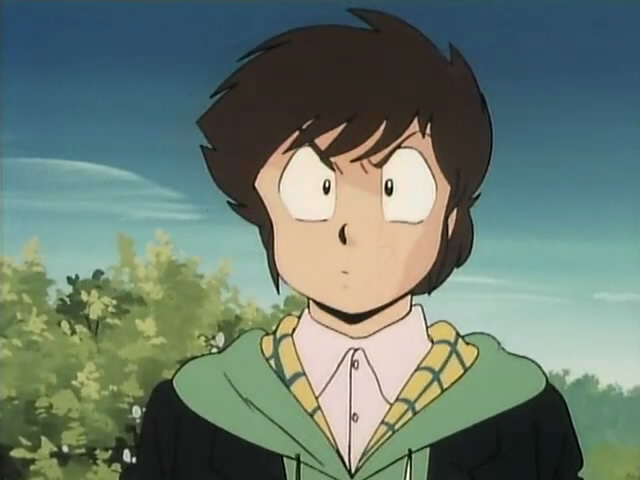 Ataru shows up and is not pleased with what he sees. Lum tries out her electricity on him, discovering it to be working fine. However, seeing that Ataru is jealous, she rides off with the boy, returning briefly to punish him again when he makes a snide comment about her after she left the first time. Lum does not return home that night, causing Ataru some concern. At school, Lum doesn’t show up, but Ataru decides he’s not playing her game. When Ten-chan arrives to try to find Lum, Ataru gets concerned as Lum shows up, telling Ataru she’s a prisoner. She then uses a device on a locker in the class, which opens up to a jungle. The jungle boy shows up, proclaiming himself and Lum to be married. Lum goes with him, causing Shuutaro and her “troops” to beat Ataru (and Fujinami, who shows up). 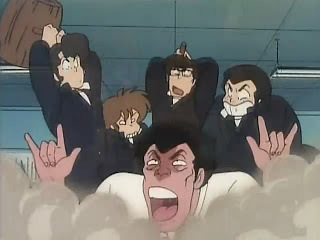 Shuutaro and the others try to enter the jungle, but get electrocuted. Ataru convinces Shuutaro to get proper gear from his home while Lum goes to the boy’s house in the electric jungle, where plant supply electricity. 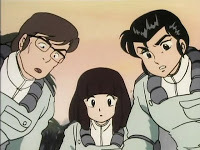 Ataru, Shuutaro, Shinobu, and Megane enter the jungle in insulated clothing, where they are soon spotted by the jungle boy on a monitor. He activates jungle vines, which attack. Escaping that, Ataru gets Shuutaro to face the boy with his two, electric daikon, but though he destroys the radishes, Shuutaro still takes a jolt to the head. Lum is pleased when Ataru uses a cord to snare the jungle boy, who manages to thwart Ataru’s special attack, turning to a coconut top to have it fly at Ataru. Lum tries to help him, but causes a coconut to fall on Ataru’s head, allowing the jungle boy to escape with Lum. At the house, the teen boy is stunned to hear Lum would rather die than marry her, but ties her up to force her to marry him just the same. Shuutaro and the others arrive at a burned out building, where they discover a photo of an old man that Shuutaro recognizes as Saizo, who’d used the Mendou property to conduct studies on electric vegetables. Saiza arrives, mistaking Shuutaro for his grandson, Shingo, who’d been lost as a child. Megane and Ataru are irritated at learning they are actually on Mendou property, but when they notice animals walking past, Ataru and Shinobu discover they are going to a wedding. Shingo swings on a vine with Lum, only to find Ataru waiting for him. Together with Shuutaro, they defeat him, but in the process, destroy his TV, which Shingo considers to be his grandfather. Shinobu tries to comfort the grieving Shingo, who’s immediately smitten with her, wanting to marry her. Shuutaro gets jealous, but is stopped by Saizo, who mistakes him for Shingo. Ataru tries to be aloof to Lum, causing her to bite and fry him. For some reason, episodes that show that Ataru actually does care about Lum are usually pretty good. It is fun to see Ataru get jealous at the thought of losing Lum, more so this time when he goes to great lengths to get her back. As to Shingo and the whole electric jungle, that was just plain weird and a half. There’s no point trying to put logic to this, such as how Saizo could be yards from his grandson and never know the boy was ever around, to say nothing of the electric appliances being used. Still, while the episode was fun but strange, there wasn’t anything about it that made me laugh. It was what it was — an episode to show Ataru does love Lum, even if he tries to score dates with every babe in town. Oh, I wanted to note that Lum looked rather cute as she waited for Ataru to show up. I know the boys prefer her in her tiger stripped bikini, but her date outfit was quite striking to me. My little fun fact for this episode. The animation director was Atsuko Nakajima who would later go on to be the primary animation director for the later half of Maison Ikkoku and the character designer for the entirety of Ranma 1/2. She also tended to be the “go to” person for any promotional artwork (CD’s, artbooks, VHS/DVD covers) for all three Takahashi shows. 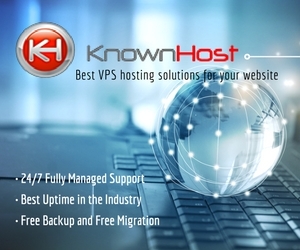 More info at Rumic World. I didn’t like this episode either. The narrative of Ataru’s feelings towards Lum was already well established. They should’ve gone with that, and put more emphasis on his motives (as it was in the manga), rather than this manner. People think Ataru is an imbecile because “Lum”, but it’s not that simple. Fact is, they are two very much on the same wavelength, but coming from different poles. Ataru is a Japanese young man. Half his antics are about emphasising this to his galactic princess; whom has chosen to remain by his side because he keeps her guessing (interested). However, she needs to understand his sense of groundedness springs from his traditions; something new to her in a very digital universe. Something she glosses over a fair bit as well; while Ataru is absorbing a universe well beyond his comprehension, often as a crash course. Ran (whom adjusts to Earth extremely well) warns Lum about this, in many ways. They should’ve gone with that, and put more emphasis on his motives (as it was in the manga), rather than this manner. This is why I don’t like anime versions of manga series that aren’t faithful to the source.